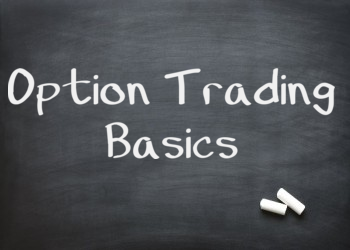 If you're planning on trading options around earnings, there is one simple trick you must do before you take any trade. For the most part, the stock market is a pretty efficient "discounting" mechanism. This means the price of the stock is a voting mechanism by stock buyers and stock sellers. Yet there are some times in which there is a big change in the fundamentals of a company. This is directly related to earnings seaon. It's the collision between the expected risk of a company (as seen in the option price) and the actual risk according to the new data that comes out. Because of this, we tend to see wild price movement on a stock after earnings are released. It's very well known that stocks can see wild moves after an earnings event. And the price of options are adjusted to reflect that. Think about it... options are derivatives. As earnings approaches, the perceived risk continues increase. The option premium rises to reflect the risk in the option. This is the phrase that you want to remember: price over strike. What we do is to look at the price of the weekly straddle and divide it by the strike price. When options price in risk, it needs to be to the upside and downside. On top of that the only true risk premium is in the extrinsic value of an option. 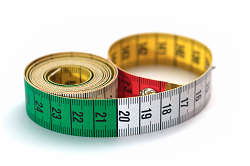 To look at the total risk premium, we look at the call option and the put option. Combining the two and we get a straddle. 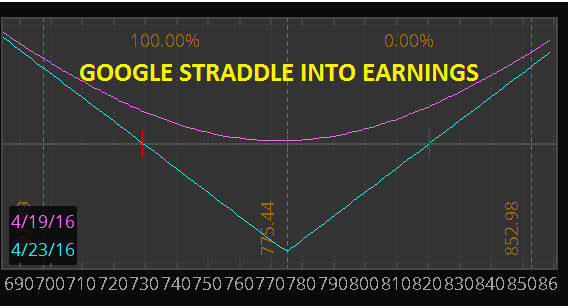 By dividing the straddle value by the strike price, we get the expectation of stock price movement into an earnings event. GOOGL reports earnings in a day or so, and at the time of this writing is trading at 775. Here are the current option values for the "front-week" options. This means the options market is pricing in about $40 of movement into earnings. That's the value we want to look at. Your trading decisions into an earnings event need to be centered around the price/strike value. It's one thing to be bullish or bearish on a stock. It's another thing to think the market is overpriced or underpriced. If you can combine those two, then you can structure your risk to make explosive profits during earnings season. 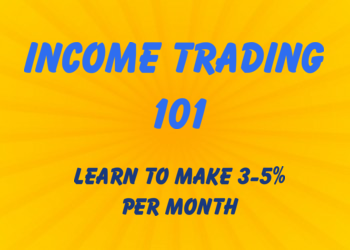 Do you want a framework you can use to find the best setups to trade around earnings? We have a course called EarningsTrades. 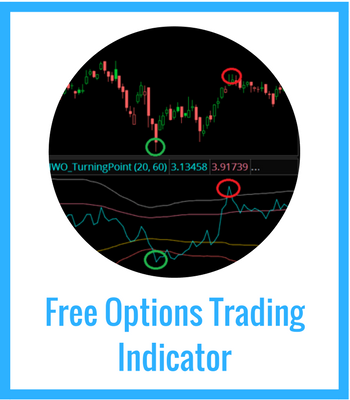 It's a comprehensive framework that steps you through everything you'll need to be successful trading options around earnings.